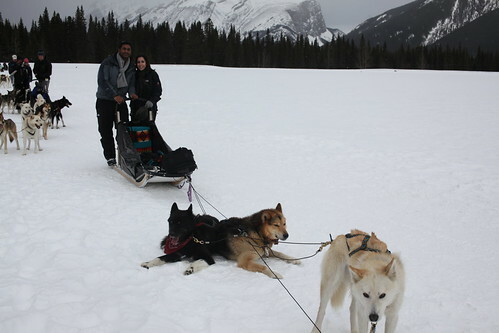 If you told me a couple years ago that I’d be dog sledding and rodeo-ing and poutine-ing in Canada, I wouldn’t have believed it. 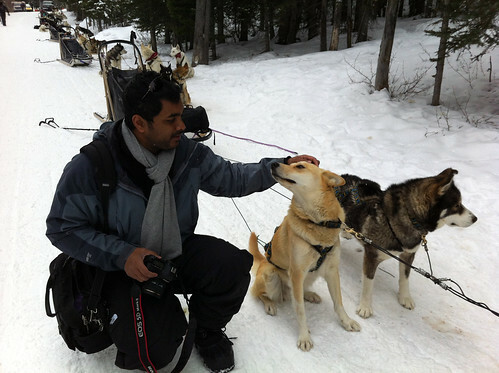 Sure, Canada is beautiful, but dog sledding? I’d never even experienced snowfall outside of a couple trips to Lake Tahoe. 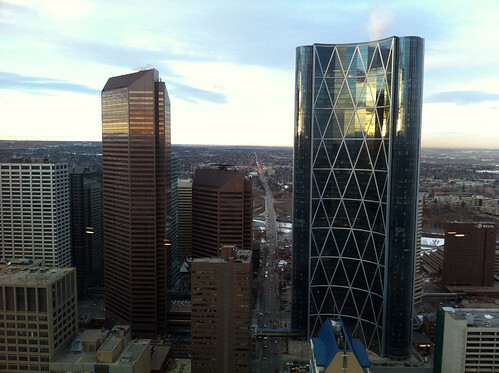 But lo and behold, I found myself in Calgary this past February, and I was smitten. 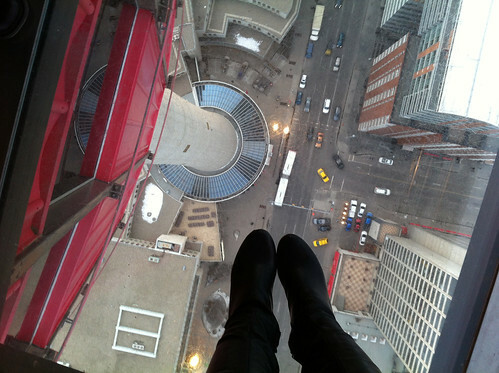 Nishan picked me up at the airport and whisked us off to the downtown core, where we had dinner reservations at Calgary Tower. Replete with a 360-degree view of the city, we watched the sun set over the Rocky Mountains over a flight of Canadian wine, wild mushroom soup, and orecchiette with beef short rib. We woke up bright and early the next morning and headed to Canmore, about an hour west of Calgary, to Snowy Owl Dog Tours to get fitted in our Gore-Tex outfits and help us brave the cold. I’m not sure there’s any amount of Gore-Tex or winter gear that would have prepared me for an Albertan winter, though. Despite two pairs of layered pants, North Face boots, two layers of wool sweater and a jacket, toque, and gloves, I was freezing. But hey, we were already there and there were beautiful, majestic huskies to meet. After our orientation, we departed from the trail head in Spray Lakes and began our two-hour expedition through the mountains, stopping at a mid-point on a frozen lake to catch our breath. Now, I’m not sure about you, but as a born-and-bred Californian, I was positively freaked out by the idea that we were standing over a frozen lake. Water! Frozen water! You crazy for this one, Canada. By the time we were done and back and the trail head, my fingers felt numb and my nose frozen from the biting wind. 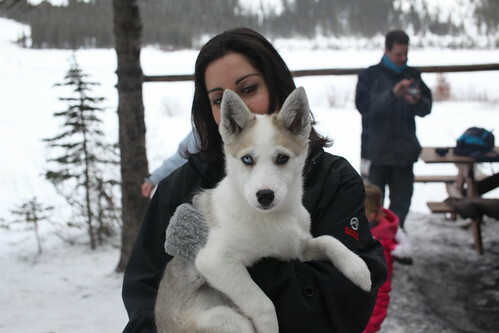 But there were warm cookies and hot cider to be had, and the best part of all: meeting a husky puppy-in-training. 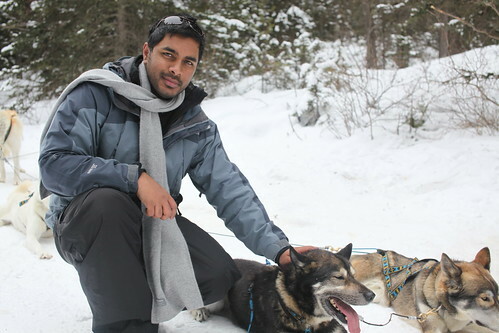 I still can’t believe I went dog sledding, but I do know it ranks as one of the most incredible experiences I’ve ever had. I’d go again in a heartbeat. Afterwards, we stopped at the beautiful ski resort town of Banff (seriously, this place gives Switzerland a run for its money) for a buffalo burger before getting on the road to Calgary. 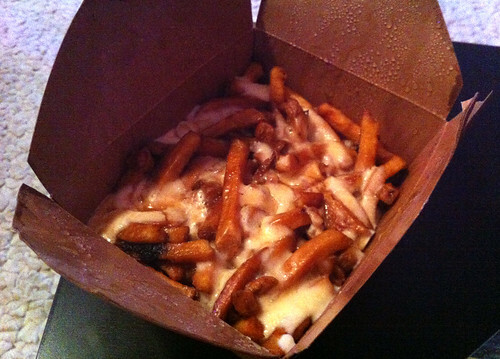 Back in Calgary, we warmed up over drinks and poutine from the Big Cheese because hey, all that dog sledding makes a girl hungry.